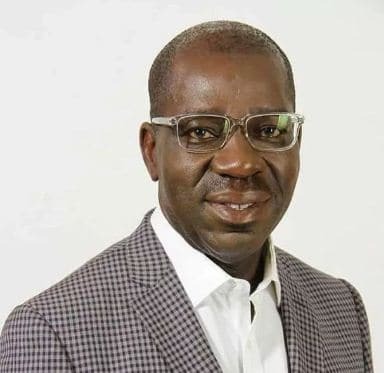 The National Independent Electoral Commission (INEC) has officially declared Godwin Obaseki as the winner of the Edo state governorship election. Obaseki won the contest with a total of 319,483 votes while that of the Peoples Democratic Party (PDP), Osagie Ize-Iyamu, polled 253,173 votes. The results by INEC indicated that he won 13 out of 18 local government areas of the state. “That Godwin Obaseki, having fulfilled the requirements of the law and got the heighest votes, is the winner and is returned elected.” The returining officer, Professor kayode Soremekun announced. Obaseki is the pioneering and current Chairman of the Edo State Economic and Strategy Team which was inaugurated by Governor Adams Oshiomole in March 2009. He holds post graduate degrees in both Finance and International Business, and is a Fellow of the Chartered Institute of Stock Brokers, Nigeria.